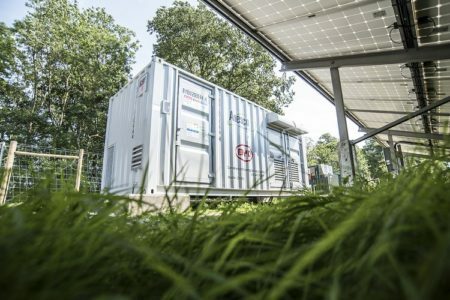 Cheaper battery prices sees storage playing a broader role in energy markets, particularly for commercial customers seeking to reduce peak consumption, research from McKinsey shows. Continue reading. This entry was posted in Energy Storage, NewsBlog, Research and tagged Nebraskans for Solar, PV Magazine on June 30, 2017 by Helen Deffenbacher. The farm itself will encompass approximately 5 of the 10-acre plot being developed. 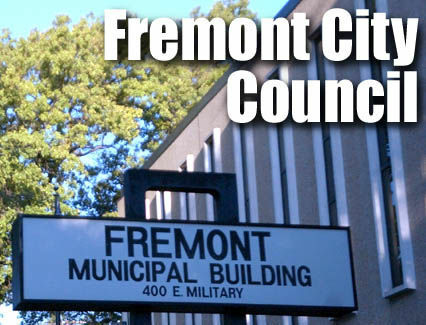 The Community Solar farm would consist of approximately 3,900 panels, and anybody who is a customer of the Fremont Department of Utilities would have the opportunity to purchase solar shares that would cover up to 80 percent of their used Kilowatt-hours. Currently, more than 40-percent of the farm has been sold, with nearly 50 percent of signups happening within two weeks. Read more here. This entry was posted in Community-Scale Solar, Nebraska / Midwest News, NewsBlog and tagged community solar development in Nebraska, Fremont's community solar farm, Into the Wind - The American Wind Energy Association Blog, KETV, Nebraskans for Solar, NextEra, ReNews, The Fremont Tribune, The North Platte Bulletin, U.S. Conference of Mayors, wind energy development in Nebraska on June 29, 2017 by Helen Deffenbacher. Photo: Some of the 4,500 metal piles that will hold the solar panels are laid out and ready to pile-drive into position after Tuesday’s groundbreaking for the $11 million solar array in northeast Kearney. When it’s finished it will be Nebraska’s largest array. 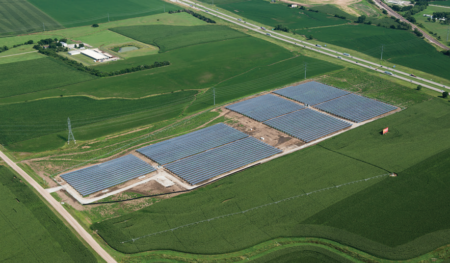 This entry was posted in Community-Scale Solar, Nebraska / Midwest News, NewsBlog and tagged Kearney community solar project, Kearney Hub, Kearney's TechoNE Crossing technology park, Mike Konz, SoCore Energy on June 29, 2017 by Helen Deffenbacher. 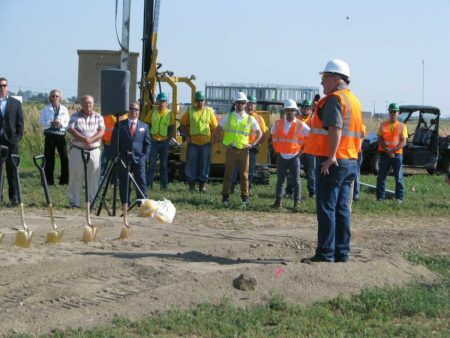 KEARNEY — Construction of Nebraska’s largest solar energy array got under way today — ceremonially and physically — with groundbreaking for the $11 million project in northeast Kearney’s technology park, Tech oNE Crossing. 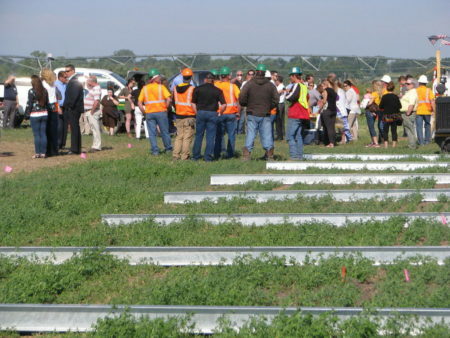 Officials with the Chicago company that is building the solar array and officials from Nebraska Public Power, the city, and state and local economic development organizations were a part of the groundbreaking. When it’s complete, the solar array in northeast Kearney will generate 5.8 megawatts of electricity — about 5 percent of Kearney’s peak demand. Click here to continue reading. This entry was posted in Community-Scale Solar, Nebraska / Midwest News, NewsBlog and tagged Interconnections Inc. of Central City, Kearney Hub, Kearney's community solar project, Nebraskans for Solar, SoCore Energy Solutions on June 27, 2017 by Helen Deffenbacher. The U.S. Conference of Mayors (USCM) on Monday approved a resolution supporting a 100% renewable energy goal by 2035, and launched the Ready for 100 campaign to support the utilization of more clean power.The group of more than 250 U.S. mayors also passed resolutions to support vehicle electrification, energy efficiency grants and city-driven plans to reverse climate change. Read more here. This entry was posted in NewsBlog and tagged cities and towns committing to 100% renewable energy, Nebraskans for Solar, U.S. Conference of Mayors, Utility Dive on June 27, 2017 by Helen Deffenbacher. In these hot days of summer, it’s easy to appreciate just how much sunlight we get in Nebraska. A growing number of people and communities across the state are starting to take advantage of this resource. “2016 was, in total, a very significant year,” said David Bracht of the Nebraska Energy Office. 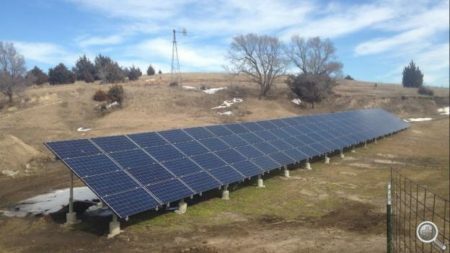 In the last 18 months, Nebraska’s total solar power generation has grown from around one megawatt to around 13 megawatts. While that’s a big increase, we’re still talking fairly small potatoes when it comes to energy. Continue reading. 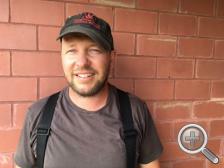 Ben Gotschall of Davey Road Ranch will be installing an 8.8-kilowatt solar project in a few weeks. Check out other Nebraskans who are benefiting from using solar energy in their farm operations by clicking on Solar Examples on the menu bar at the top of this page. This entry was posted in Nebraska / Midwest News, NewsBlog and tagged Community Crops, farm energy, Nebraska farms and ranches using solar energy in their operations, Nebraskans for Solar, NET News on June 27, 2017 by Helen Deffenbacher. In April, solar reached a new milestone, providing more than 2.3 percent of U.S. electrical supply, according to the latest issue of the U.S. Energy Information’s (EIA) Electric Power Monthly, with data through April 30, 2017. Consequently, solar has now moved into third place among renewable sources — behind hydropower and wind but ahead of biomass and geothermal . . . And not coincidentally, as renewables’ share of electrical generation has grown, that of fossil fuels has declined. Electrical generation by fossil fuels (i.e., coal, natural gas, petroleum liquids + petroleum coke) dropped by 5.2 percent during the first third of 2017 compared to 2016. In light of their growth rates in recent years, it was inevitable that renewable sources would eventually overtake nuclear power. The only real surprise is how soon that has happened — years before most analysts ever expected. Read more here. Photo: Lincoln Electric System’s solar farm, currently Nebraska’s largest utility-scale project. The National Geographic Documentary “From the Ashes” can be viewed free on a variety of platforms from June 26-July 3. The film will be available commercial-free via YouTube, Facebook, Hulu, Amazon, Google Play and VOD and on Natgeotv.com and Nat Geo TV Apps (iOS and Android devices, Apple TV, Roku and Samsung Connected TVs). Watch a brief YouTube video about EFI here. This entry was posted in NewsBlog and tagged Nebraskans for Solar, renewable energy news on June 26, 2017 by Helen Deffenbacher. After installing their first solar hives in April, the Boltons took the concept and ran with it. They plan to extract 4,000 pounds of solar honey this year; some will be sold in grocery stores, while some will go to solar customers. They have also trademarked a Solar Honey standard and label that they hope other beekeepers will adopt, promoting the idea of smarter land use and local beekeeping. Continue reading. If you missed Fresh Energy’s Solar and Pollinator webinar on June 22, 2017, check back soon HERE for a recording of it. 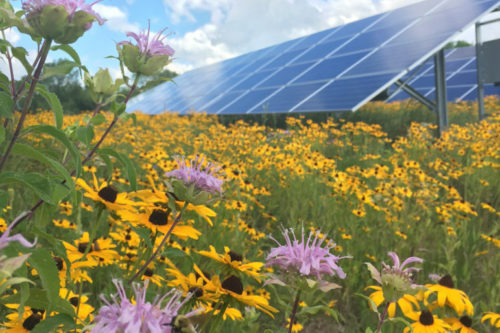 This entry was posted in Nebraska / Midwest News, NewsBlog and tagged economic benefits of pollinator-friendly solar sites, Fresh Energy, National Geographic, Nebraskans for Solar, pollinator-friendly solar sites on June 25, 2017 by Helen Deffenbacher. 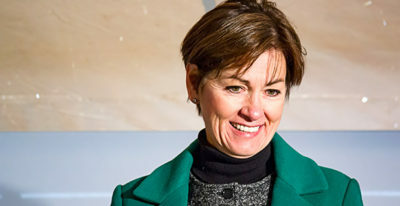 A number of Republican governors, like Iowa’s Kim Reynolds support clean energy programs. Unlike their Democratic counterparts, who are apt to cite climate benefits of clean energy initiatives, Republicans are content to focus on economic benefits. This entry was posted in Nebraska / Midwest News, NewsBlog and tagged economic benefits of renewable energy, governors leading on renewable energy in their states, Iowa Governor Kim Reynolds, Nebraskans for Solar, renewable energy development in the U.S. on June 25, 2017 by Helen Deffenbacher. A majority (66%) of Americans believe that it is their state’s responsibility to address the issue of global warming in the absence of federal action. There is very high support for renewable energy (79%) and efficiency (81%) mandates, two established state-level policy options to reduce carbon emissions from the electricity sector. There is even greater support for increasing the use of solar energy (89%) and wind energy (83%) at the state level outside of the context of a mandate. 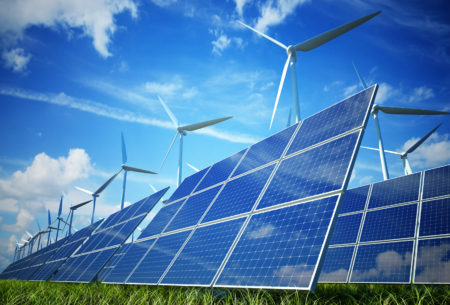 This increase in support is largely attributable to Republicans who, while slightly more inclined to oppose a renewable energy mandate in their state, show very strong support for increasing wind and solar use. The Center for Local, State, and Urban Policy, housed at the University of Michigan’s Gerald R. Ford School of Public Policy, conducts and supports applied policy research designed to inform state, local, and urban policy issues. Through integrated research, teaching, and outreach involving academic researchers, students, policymakers and practitioners, the center seeks to foster understanding of today’s state and local policy problems, and to find effective solutions. This entry was posted in NewsBlog, Research and tagged and Urban Policy, Center for Local, National Surveys on Energy and Environment (NSEE), Nebraskans for Solar, renewable energy news, State, University of Michigan on June 24, 2017 by Helen Deffenbacher.